So, a few years ago I did a series of holiday sweets (including treats for dogs). Although I make and love all of the recipes, one recipe is my absolute favorite. Even more importantly, it gets rave reviews whenever I make them! 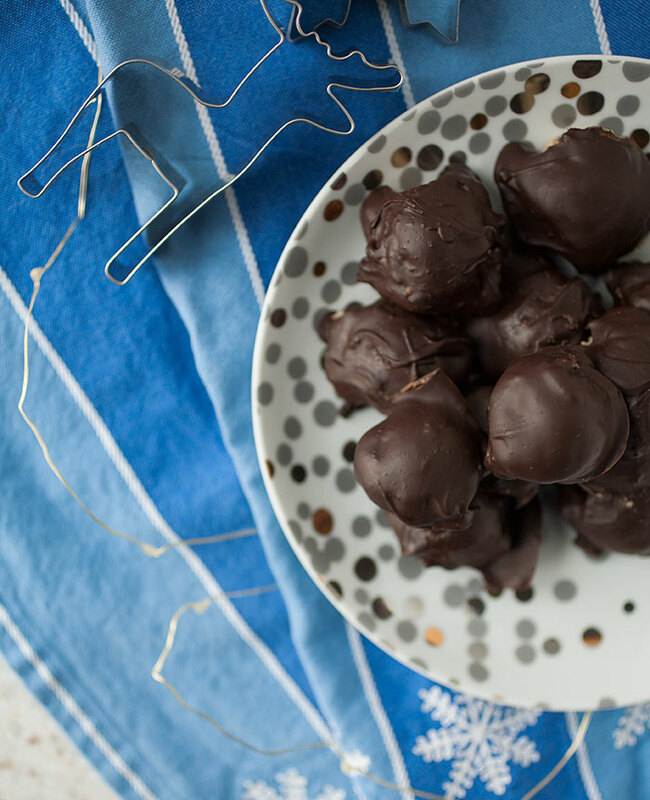 The recipe is for these simple, easy-to-make, and incredibly craveable Mexican chocolate cookie dough truffles! 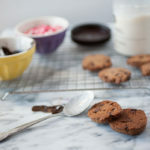 They’re sweet, no-bake, and easy to make almond-flour-based cookie dough enrobed in sweet, cinnamon-dusted chocolate—they are obsessively good! And anyone you bring them to—whether it’s for a party or for a gift—will love you forever! I am surprised I haven’t put ithis recipe up already! As my readers know, I’m all about healthy and delicious recipes that are also fast—because I certainly don’t have much time to spend on cooking what I love very often, and I know many others don’t either. 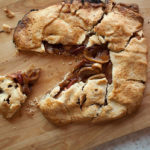 I wait eagerly for the first deep, ruby red stalks of rhubarb to appear in stores (especially because they tend to pop up right around the middle of May, which coincidentally happens to be around my mom’s birthday, and she adores rhubarb anything). 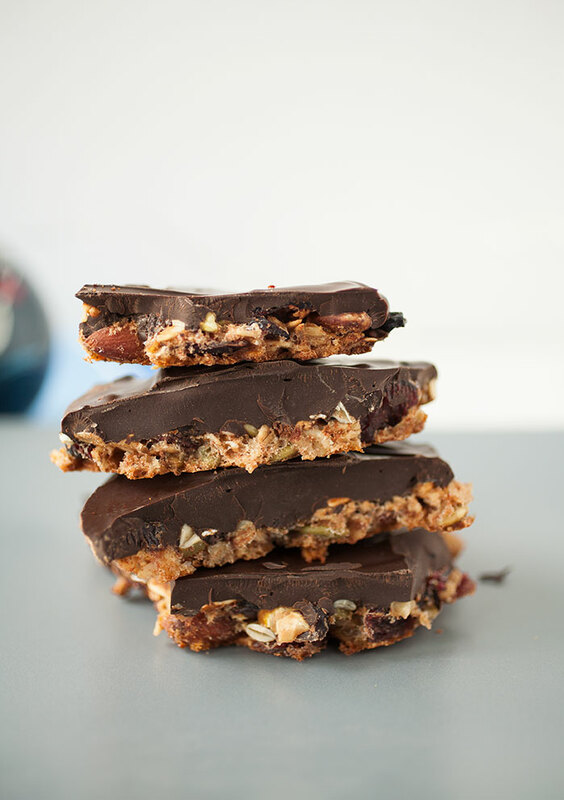 I buy as much as I can and start making recipe after recipe before they disappear again…. I’m starting a new series this week. 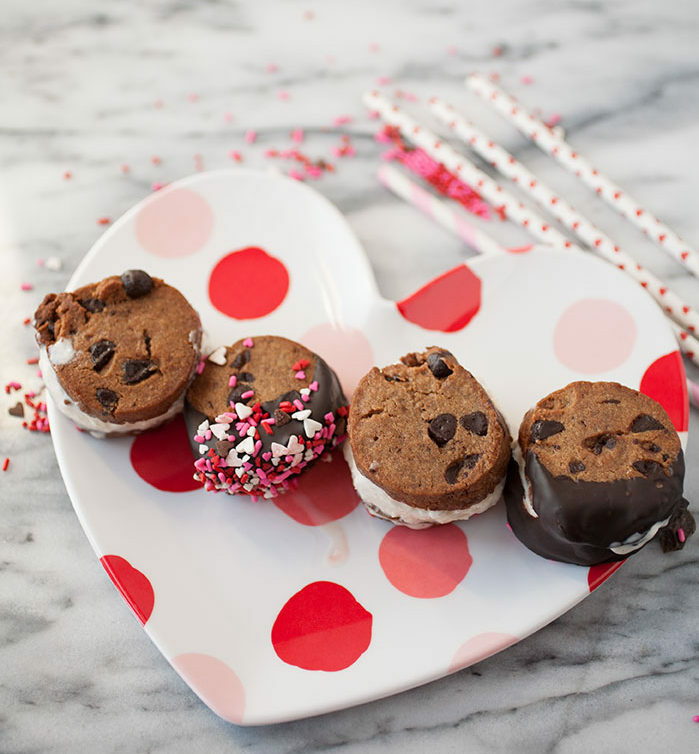 I’ve already posted a few recipes from the archives, so you may already get the idea, but I’m posting sweet treat recipes you can give as gifts this holiday season! 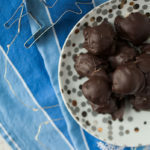 And I’m starting with these simple, delicious, and fun to make Mexican chocolate cookie dough truffles! Sweet, no-bake and easy to make cookie dough enrobed in sweet, cinnamon-scented chocolate—they are obsessively good and anyone you gift these to will be delighted! Late summer is the season for stone fruit—peaches, plums, nectarines, apricots, and cherries. (They’re called stone fruit because of the large, dense seed you find in the middle.) I’ve see baskets and baskets of peaches at the farmers market last weekend and this weekend and there are mountains tumbling off displays at the grocery store. Late summer. Can you believe it? I feel like we’re rushing to get as much out of summer as possible because it’s barely before it’s begun. 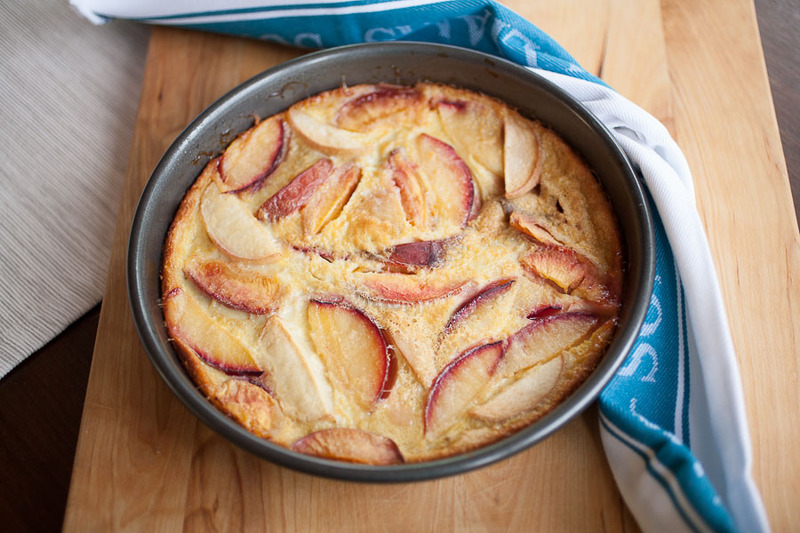 So, to squeeze in as much summer as possible, we’ve been taking weekly trips to the farmers markets and eating up every last ounce of the tastes of summer, and this honey and stone fruit clafouti fits the bill perfectly! 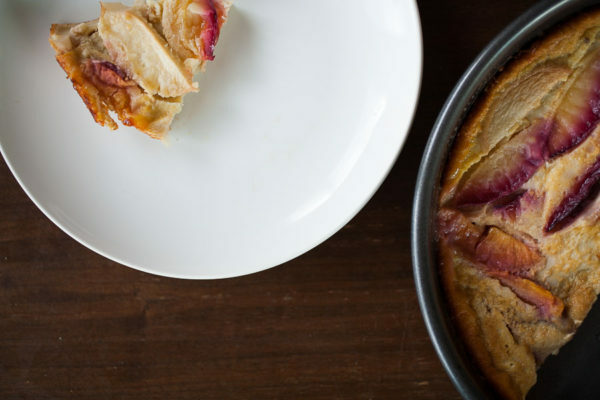 You do have to turn on the oven, but the result is full of flavor and completely worth it: sweet plums and cherries, tart apricots, mellowly sweet peaches together with honey in a slightly cakey, slightly custardy clafouti. 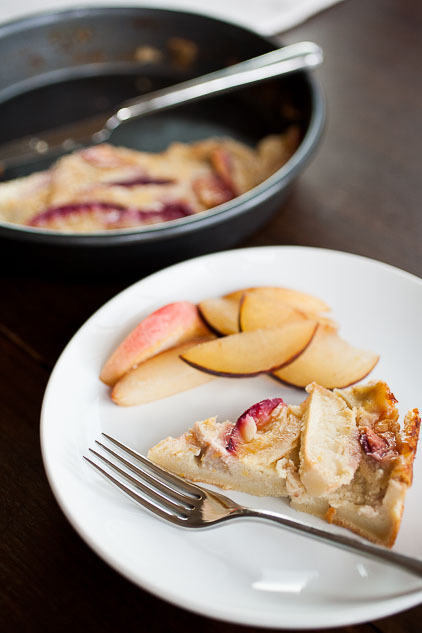 A clafouti (or as my husband calls is a “kerfuffle”, not to be confused with a “kerfluffle”, which is what we call a group of huskies…) is a beautifully simple French dessert—it takes minutes to put together and has a minimal number of ingredients. 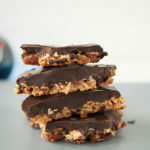 Besides the fact that it’s delicious and simple, why did I choose it for this particular blog post? Because the simplicity of the ingredients allows the fruit—whatever fruit you’re using—to shine. It’s the perfect way to savor the summer. A few notes: the recipe usually calls for a ceramic dish, but I don’t have one as of yet, so I used a nine-inch cake pan with low sides. You also need to make sure you really beat the eggs until they’re foaming—it will help whip air into the mixture and ensure the custard inflates. 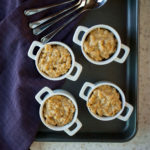 Allergy-Friendly Options: this recipe is perfectly good with gluten-free flour! In fact, the cake I used for these photos was made with gluten-free flour. I used the Trader Joe’s brand, which is pretty good and cheaper than most, but you can use your favorite brand of gluten-free flour. You can also make this dairy free by using almond milk, or another type of non-dairy milk. While I haven’t tested this recipe with all non-dairy milks, it certainly works just as well with almond milk as with dairy milk (husband tested, husband approved. And he’s not a fan of almond milk. “You can’t milk an almond,” as he says). 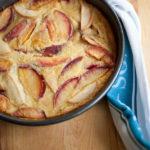 The best of summer's stone fruit is the star in this simple, delicious, custardy honey and stone fruit clafouti! Butter a nine-inch cake pan or ceramic dish and preheat the oven to 350°. 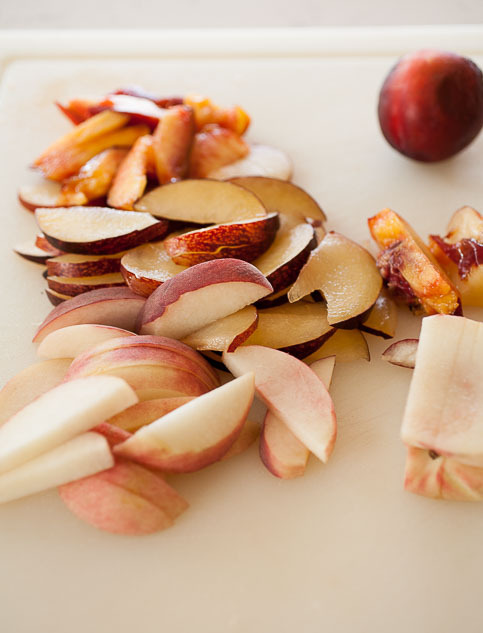 Slice all the stone fruit into ⅛ inch slices, or, if using cherries, in half. Crack the eggs into a bowl and whisk until light in color and frothy. Stir in the vanilla, milk, salt, and cinnamon and whisk until combined. Melt the butter and pour it into the pan, then drizzle honey over the butter. 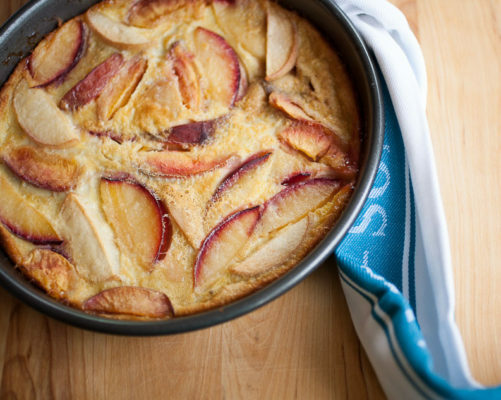 Arrange the stone fruit pieces in the bottom of the pan in a single layer, then pour the batter over the stone fruit. Place the clafouti into the oven for 50 to 60 minutes until set, puffed, and browned. Allow to cool for a few minutes and enjoy! This dessert pairs beautifully right out of the oven with vanilla ice cream or even a crème anglaise, but it’s also perfectly good just the way it is. 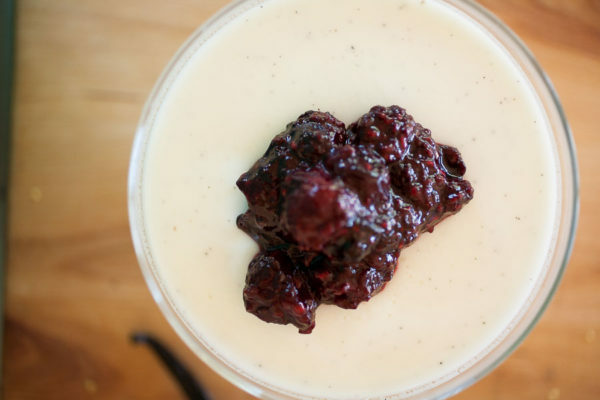 As I promised in last week’s warm summer berry compote blog, I’m posting a recipe for a dessert over which the compote goes absolutely perfectly: buttermilk panna cotta. 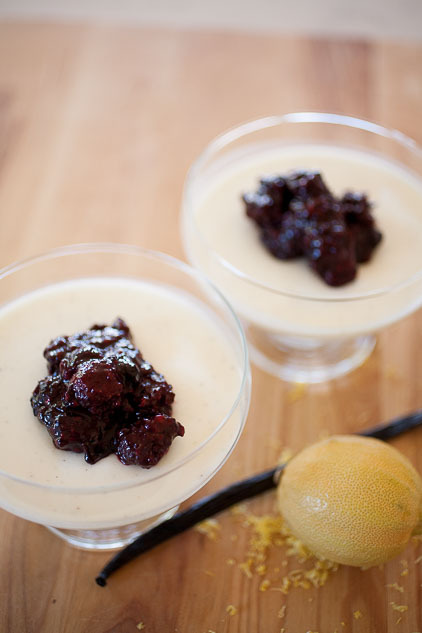 In Italian, panna cotta means “cooked cream”, and that’s really what this recipe is. I believe I extolled upon the virtues of, and my love for, panna cotta in the pumpkin spice panna cotta recipe I posted last fall. 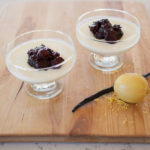 It’s one of my favorite desserts to make and to eat: soft, creamy, cool, sweet but not too sweet, and with a little tang and fresh tartness from the buttermilk and lemon zest. 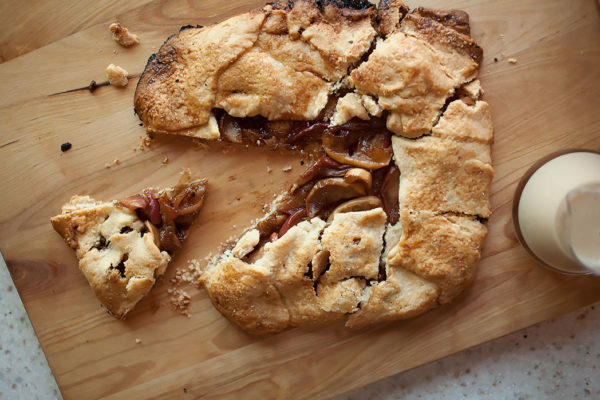 It’s also a perfect low-heat dessert for these, the hottest days of summer (and wow has this summer been hot…). You don’t need an oven, there’s not a lot of work, you barely need to turn the stove on, and it comes out of the fridge nice and cold. There are also very few ingredients. So let’s say you’re having friends over for a summer dinner on the patio. 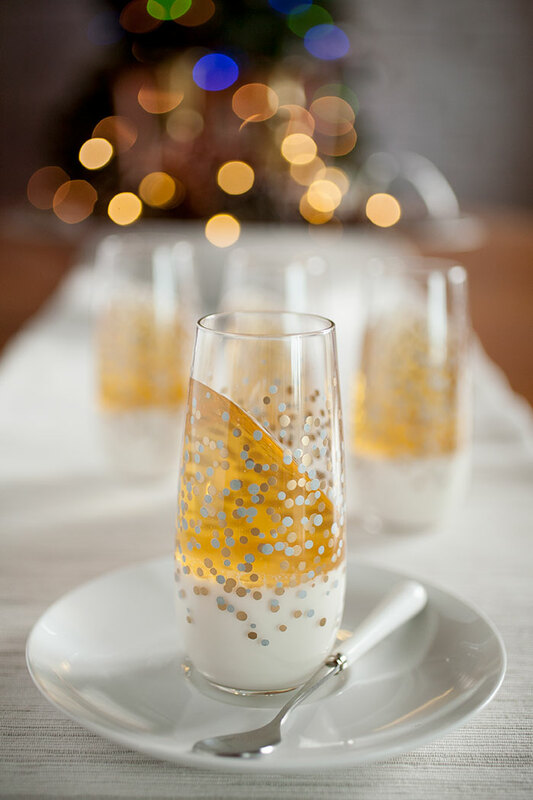 Spend twenty minutes that morning (at the most) in the kitchen, put the panna cotta in the fridge, and it will be ready to pull out and serve whenever you and your guests are ready. Just spoon the berry compote (warm or not) on top and you have a delicious and very pretty dessert! 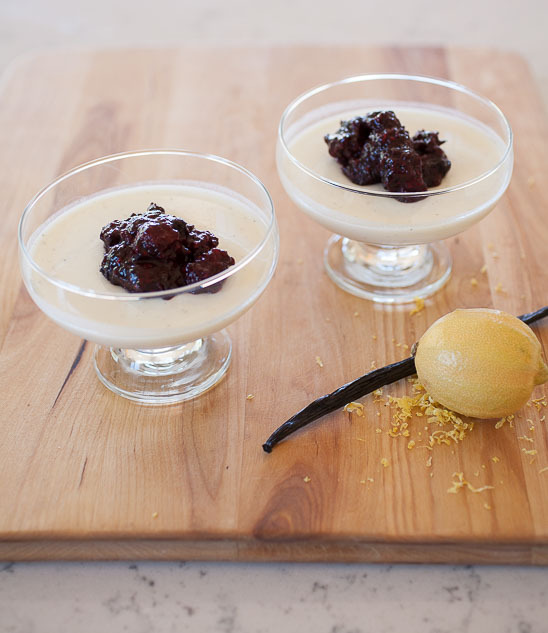 This is one of my favorite desserts to make and to eat: soft, creamy, cool, sweet but not too sweet, and with a little tang and fresh tartness from the buttermilk and lemon zest. It’s also a perfect low-heat dessert for these, the hottest days of summer! Stir together the gelatin and 2 Tbsp. water until combined and set aside to let “bloom”. 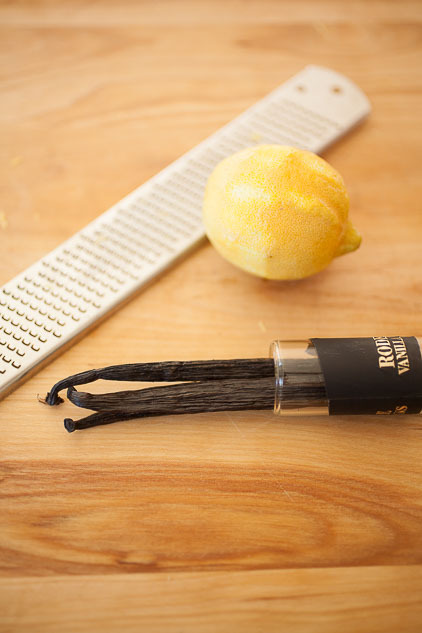 Heat the milk, sugar or honey, and vanilla bean and seeds (or the extract over medium-low heat). Stir until the sugar has fully dissolved and the milk is just barely simmering. There will be tiny bubbles around the sides and just a few bubbles under the surface. 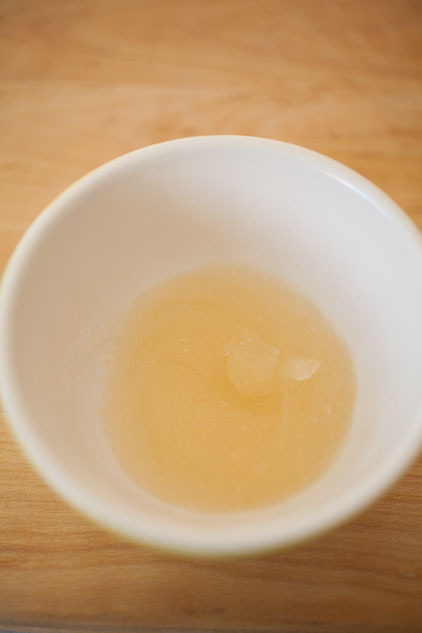 Take the milk off the heat (remove the vanilla bean, if using) and stir in the gelatin and lemon zest. 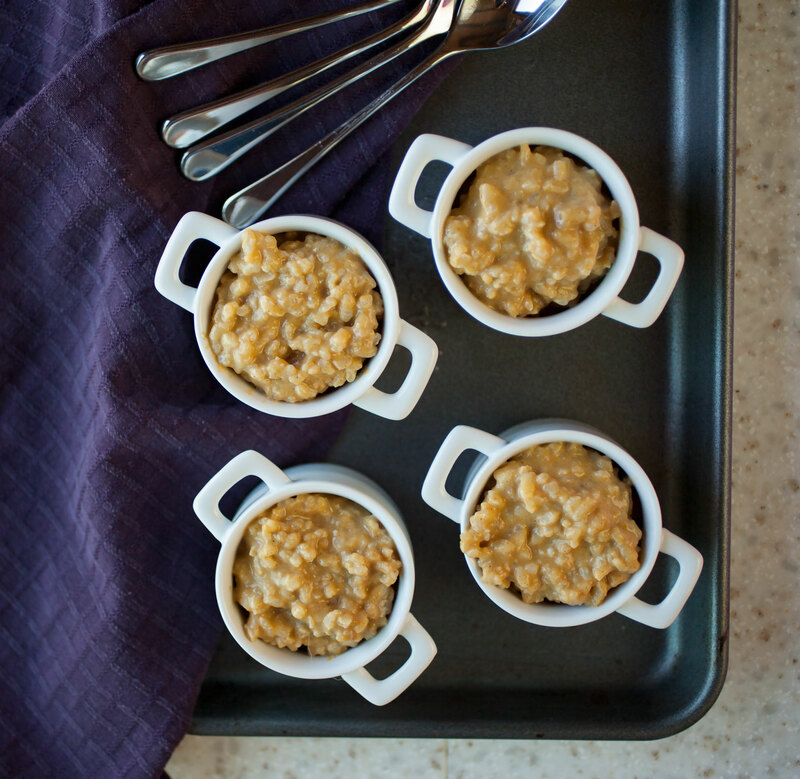 Pour into dessert dishes, ramekins, or molds and place in the fridge. 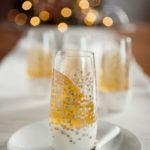 Allow to set for at least two hours or until the panna cotta is fully set. Serve topped with warm (or cooled) berry compote and enjoy! Simple and so good! It even looks pretty in whatever you serve it, especially with the deep reds and purples of the berry compote. Welcome! I'm Samantha, a freelance writer and editor, foodie, dog mom, and the writer behind Flurries of Flour! I know life can get crazy, and it can be difficult to cook, much less maintain a healthy diet! That’s what Flurries of Flour is all about—healthy meals for breakfast, lunch, and dinner that are also quick, easy, and simple!